Just four months after graduating from Texas A&M in 1961 with a degree in architecture, Harold Adams, named a 2011 Distinguished Alumnus by The Association of Former Students, was working in Washington D.C. with president John F. Kennedy and Jacqueline Kennedy on federal building projects. Then, after Kennedy's 1963 assassination, Adams was the project manager for the president's gravesite at Arlington National Cemetery. It was only the beginning of Adams' five-decade career as one of the world's most influential and respected members of the architecture community. In 1967, Adams joined RTKL Associates Inc. in Baltimore; two years later, he was the firm's president. “Under his leadership, first as president, then as chief executive officer and chairman, RTKL grew from a one-office design firm to a practice with projects in more than 60 countries,” said Jorge Vanegas, dean of Texas A&M's College of Architecture. Adams oversaw RTKL's expansion to offices in Madrid, London, Tokyo and Shanghai, establishing the firm's worldwide reputation for design and management expertise. During his tenure at RTKL, the firm's projects included rebuilding the Pentagon after the Sept. 11, 2001 terrorist attacks, Oriole Park at Camden Yards, a Baltimore major league baseball stadium completed in 1992 that began the retro-ballpark trend, the Saudi Arabian Embassy in Washington, the Shanghai Science & Technology Museum and the United States Capitol Visitor Center. The American Institute of Architects awarded Adams, who retired in 2003, with two of its highest honors, the Kemper Medal, for his leadership in the profession, and membership in its College of Fellows. 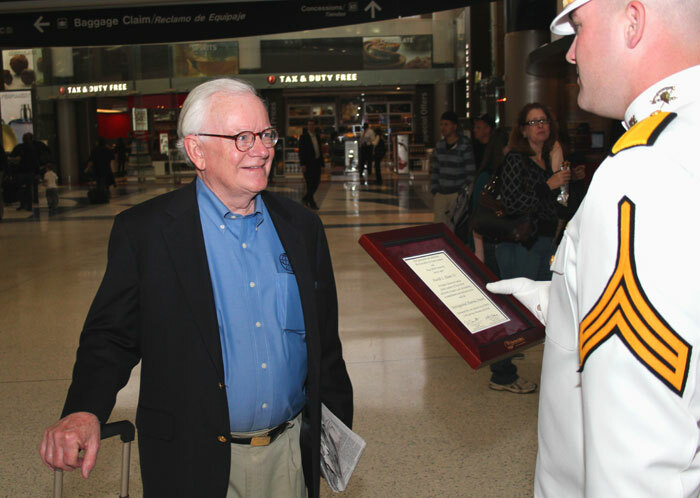 He was also honored with the Society of American Military Engineers' inaugural Max O. Urbahn Medal for achievement in architecture and is an outstanding alumnus of Texas A&M's College of Architecture. 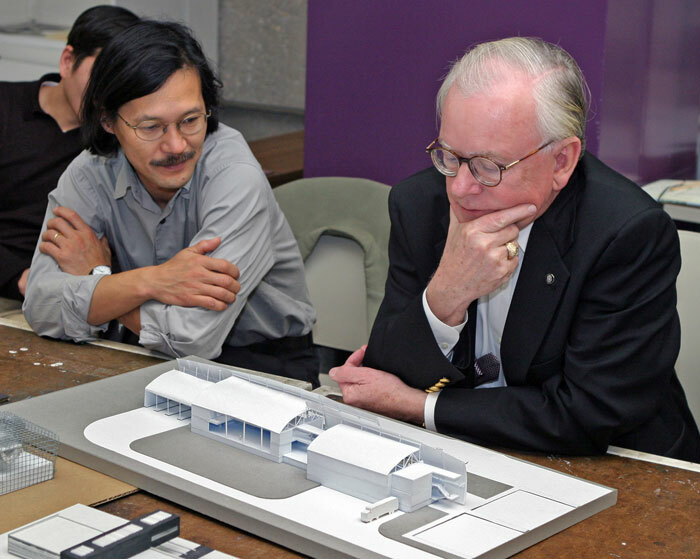 Adams was one of the first United States citizens to hold a first class Kenchikushi license, an architecture license awarded by Japan's Ministry of Construction, and is also a member of the Royal Institute of British Architects. He's also a frequent campus visitor, eager to pass his knowledge along to students. 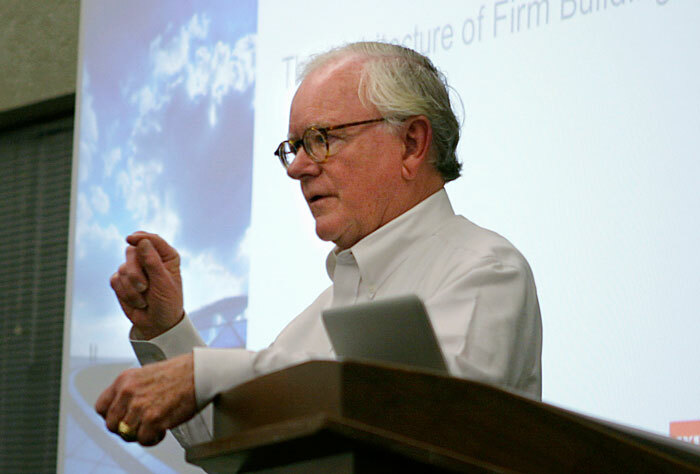 During Adams' visits, said Ron Skaggs ’65, chairman emeritus of HKS Inc., he lectures extensively on the importance of interdisciplinary collaboration between the design, construction and development disciplines. 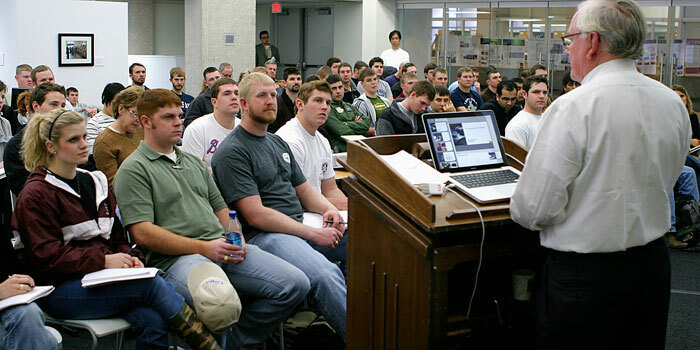 In the class, students learn about global etiquette practices to help them compete in environments where a business deal might hinge on knowledge of manners in the U.S. or abroad. The professorship, said Hill, has given him the resources to bring experts in business, engineering and marketing who have practiced on every continent in the world. Contact: Phillip Rollfing, prollfing@archone.tamu.edu or 979.458.0442. Update your contact info and share your news!